‘MIRROR RIM’ by Alain Urrutia is a series of eleven paintings made to flip around, like a mirror, reflecting a fragmented and reconstructed alternative reality. 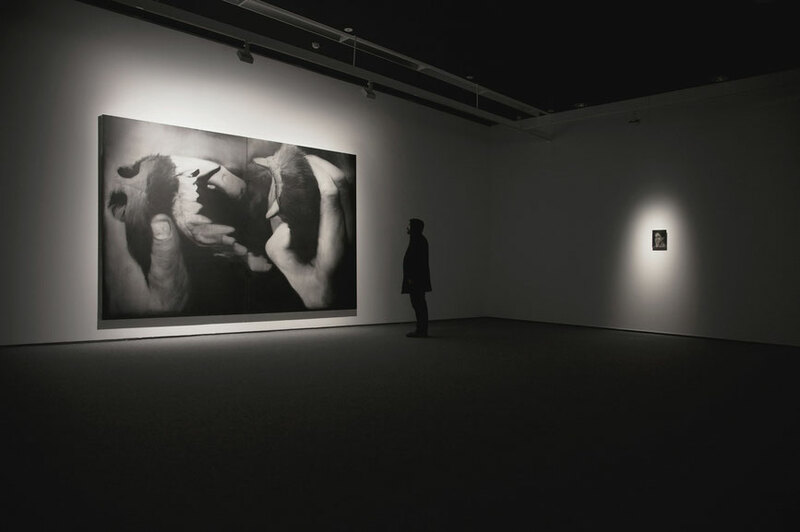 Where he previously made super large paintings, these realistic small format black and white images, reframed and alienated from their historical value, are made to question our interpretations. The MIRROR RIM project was born from the idea of making two exhibitions in two different places that would change when moving from one space to the second one . The works from MIRROR RIM are composed symmetrically on their horizontal axis. The mirrored images we get in this way can be flipped 180 degrees. This is what happens when the exhibition is moved from one gallery to the second one. The paintings have been rotated so this second exhibition at Appleton Square in Lisbon, would work as the reflection of the first exhibition at the DIDAC Foundation in Santiago de Compostela. Hence the title of the exhibition, MIRROR RIM, a palindrome that refers to the edge of the mirror. Have a look at his work here. And when in Lisbon, make sure to visit MIRROR RIM at Appleton Square Gallery.